Tri Polus is a facilitator of international business based in Westminster, London. The company operates in government and commercial markets and specialises in high-technology sectors. Tri Polus offers its clients services to enable them to enter new markets and capture business in the UK, USA, and India, Turkey, Europe, Brazil, parts of Middle-East and Asia. Our focus is the Aerospace and Defence sectors. Tri Polus has extensive experience in defence and advanced technologies. Tri Polus has established a fully integrated range of market access business services. Tri Polus are specialists in the Aerospace/ Defence and International Space sectors. Tri Polus is well established within India, the world's fourth largest economy. Tri Polus identifies for its clients candidate projects that could benefit from Offsets. Tri Polus has expertise in Offsets and has a proven track record in the delivery of Defence Offset projects. 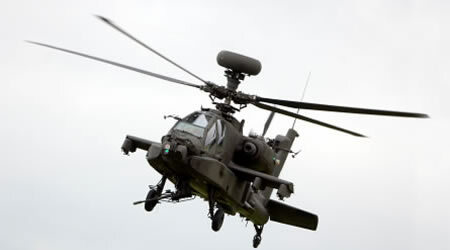 Defence Offsets have become a common feature of large value aerospace and defence transactions and considerable expertise is required to identify and steer a company through the process of successful delivery of Offset obligations. Tri Polus works with a range of US and European clients to assist them in meeting their Offset obligations worldwide. Currently Tri Polus is active in Offset projects in India, Turkey, Brazil and the Middle-East.